Discover the wide range of hotels and apartments that you can book in Santiago de los Caballeros, and make your reservation in the most comfortable and easy way with our search engine. Find the best hotel or apartment that suits your needs and you will only have to care about enjoying your vacation. In order to do so, you only have to select your travel’s entry and exit dates on the calendars that you will find below. Thus, in addition to having access to the latest and best deals of different hotels and apartments of the city, you can also sort the results by price, category or popularity. 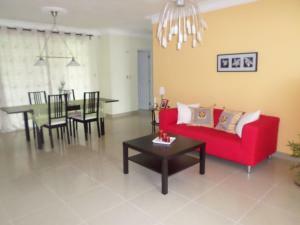 Modern 2 Bedroom Apartment is a self-catering accommodation located in Santiago de los Caballeros. Free WiFi access and free private parking are available. Habitacion en mi Apartamento is located 3 km from Cibao’s Grand Theatre and 4 km from Santiago de los Caballeros Historic Centre. Free WiFi access is available in all rooms. Apartahotel Jardines Metropolitanos offers self-catering apartments in Santiago de los Caballeros. The property features an a la carte restaurant, free WiFi access and free private parking. Farm Villa Estancia is a self-catering accommodation located in Santiago de los Caballeros, 1 hours’ drive from the beaches in Puerto Plata. The villa features a mountain view and garden view. 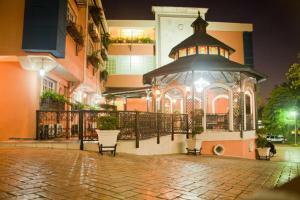 Casa Villa Bonita Guest House offers accommodation 6.3 km from Santiago de los Caballeros town centre, 41 km from Sosúa. 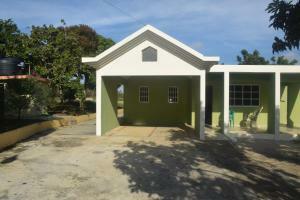 The property is 47 km from Cabarete and features views of the garden. Featuring free WiFi and a sun terrace, Hostal Casa Jum offers pet-friendly accommodation in Santiago de los Caballeros. Guests can enjoy the on-site restaurant. Los Jardines Apartment offers accommodation in Santiago de los Caballeros, just 3 minutes' walk from Caribetours and Metro bus stations. Guests benefit from free WiFi and private parking available on site. Offering a restaurant, hot tub and free Wi-Fi access in all areas, Hotel Platino is located 5 km from Santiago de los Caballeros main square and 1.6 km from Gran Teatro del Cibao Park. Offering stunning views of Santiago de los Caballeros views from the terrace, an extensive garden and free Wi-Fi throughout, Camp David Ranch is located 20 minutes’ drive from the Grand Theatre of Cibao. 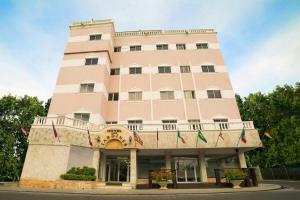 The Aloha Sol Hotel and Casino is located 550 metres from Santiago de los Caballeros Main Square and the Duarte Park. It features colonial décor, free WiFi in all rooms and games room. Hotel Century Plaza is located just 2.5 km from Santiago City Centre and offers guests free daily breakfast and free Wi-Fi. 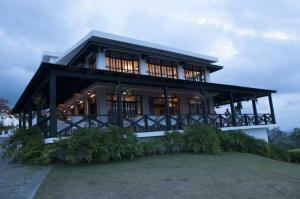 It has a 24-hour reception and on-site car rental. This hotel is located near the city centre of Santiago and features free Wi-Fi and an on-site casino. Matum Hotel & Casino offers dry cleaning services and free parking. Via Emilia B&B Restaurante is located a 5-minute walk from the Leon Cultural Museum, in Santiago de los Caballeros. It has a bar-restaurant, a garden terrace and free Wi-Fi.